Care Packages for Soldiers: Delta Air Lines sponsors a wonderful packing party for the Troops! 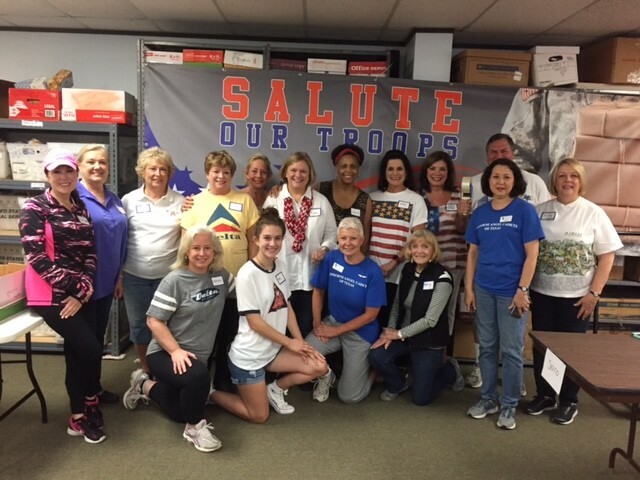 Delta Air Lines sponsors a wonderful packing party for the Troops! 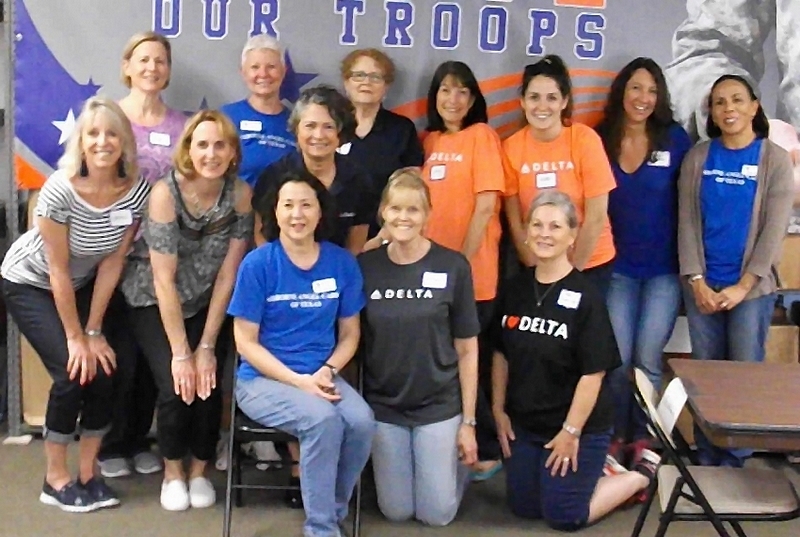 The Airborne Angel Cadets of Texas would like to give a huge thanks to Delta Air Lines, and the many Delta volunteers, who made our care package packing party such a great success on Saturday, June 3, 2017. The President and founder of our all-volunteer nonprofit, Nancy Carter, is a proud Delta flight attendant. 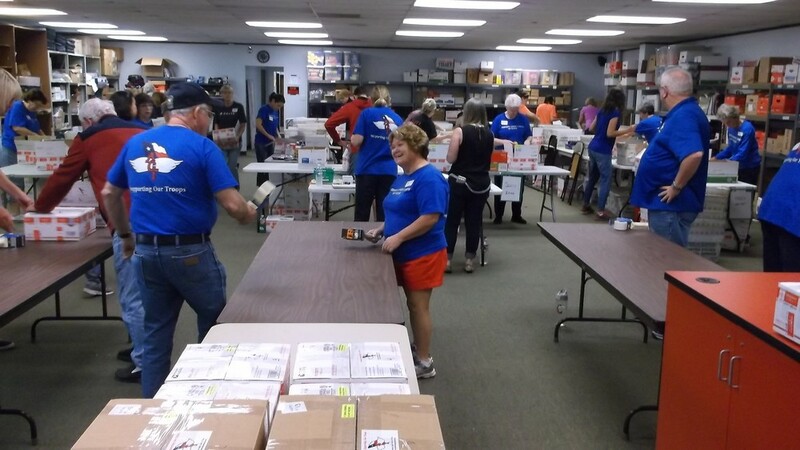 Over 360 care package boxes were packed for U.S. Soldiers, Sailors, Airmen and Marines in Afghanistan, Iraq, Eastern Europe and other remote locations in the Mideast. Generous financial donations from Delta Air Lines helped us pay for all the roughly $6,500 in postage costs for the day. Items packed included socks, toiletries, snacks and food items, notes and well wishes from patriotic supporters, DVD's and many other care package items. These goods (many incorporating our patriotic 4th of July theme) will be shared by several thousand American troops deployed overseas. For all those who donated products or funds to help us in our military care package mission, we could not do it without you. And we thank all the volunteers who assisted in various times over the past few weeks to make this packing party a big success. A full photo gallery from this packing party can be seen on our Weebly website. 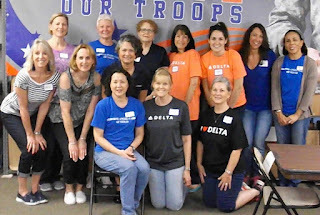 Morning shift volunteers from Delta Air Lines. 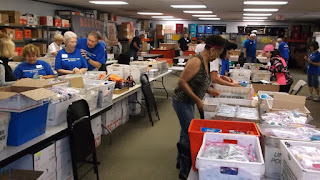 Full crew of Dallas - Fort Worth area volunteers packing care packages. Volunteers packing and taping care packages for the troops. Afternoon shift volunteers from Delta Air Lines. 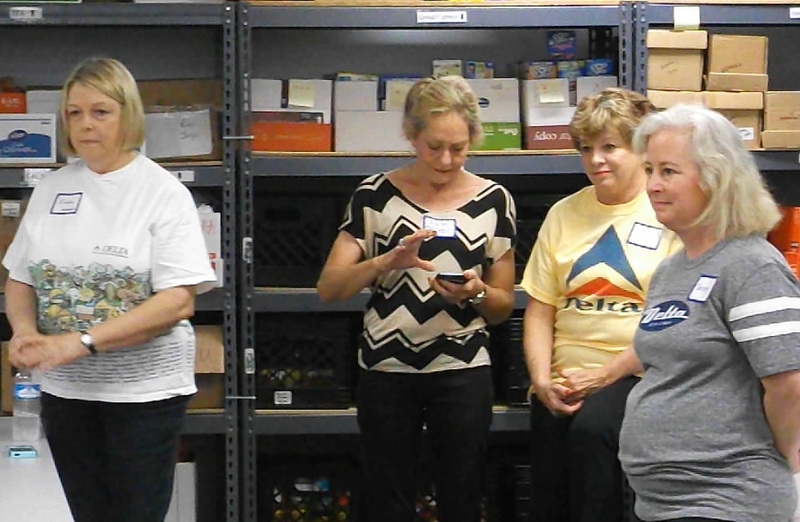 Delta Air Lines volunteers at our care package packing party.